It seems like only yesterday Durr Burgers were appearing in the desert, but the final week of Season 5 is already upon us. 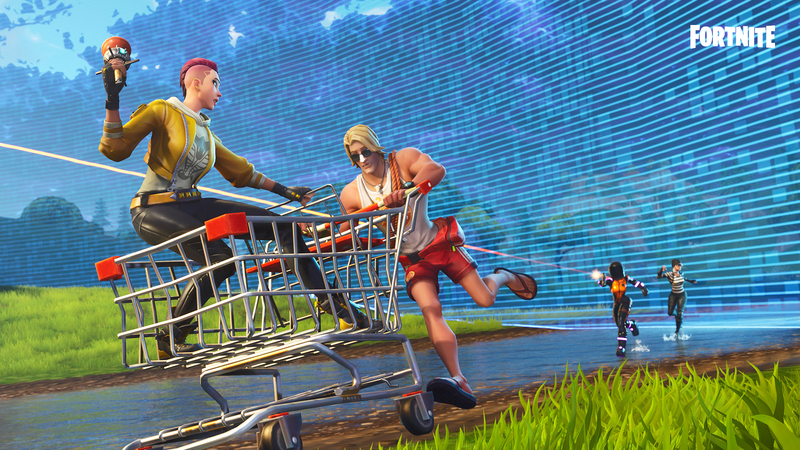 Here are the Fortnite Week 10 challenges, so you can plan your final push towards the Ragnarok skin. We’ve got a full page live for this, so check out the link above for a full rundown! Twenty is quite a lot, and Epic Games seems to be experimenting with challenges that take a little longer to complete. Mushrooms are your best option, because you don’t have to have lost health to consume them. Head over to Lonely Lodge and follow the stream from the north to the south of the area. Around the sides of it you should find plenty of mushrooms consume. Each one gives you 5 shield so by the time you hit full you’ll have completed the challenge. Simple, effective, but unless you’re a Ninja-level beast this might take you at least a couple of games. You know the drill with eliminations, but if you’re struggling try a squads mode like 50v50 where you’ve got some help. We have a full guide to the chest spawns in Salty Springs, but in brief, try raiding the house in the west of Salty with the secret bunker underneath. There’s a chest spawn in the bathroom in the basement, then two more in the bunker hidden under the stairs. Again this seems like a lot, but will quickly add up over several games. As with eliminations, try playing 50v50 mode so there’s less pressure on you and you’ve got more concentrated targets. We’ve got a full guide on where to grab this secret battle star! Check it out via the link above. The final challenge of Season 5 is another staged one. Simply take out another player in Pleasant, then at the end of the game you’ll be assigned another location. You’ve still got time this week to take on the Getaway LTM, complete the High Stakes challenges and claim the Crowbar pickaxe.